2014 and 2015 have been record-breaking years for nesting turtles on North Island. The turtle monitoring program recorded a total of 216 emergences by Endangered green turtles in 2014. 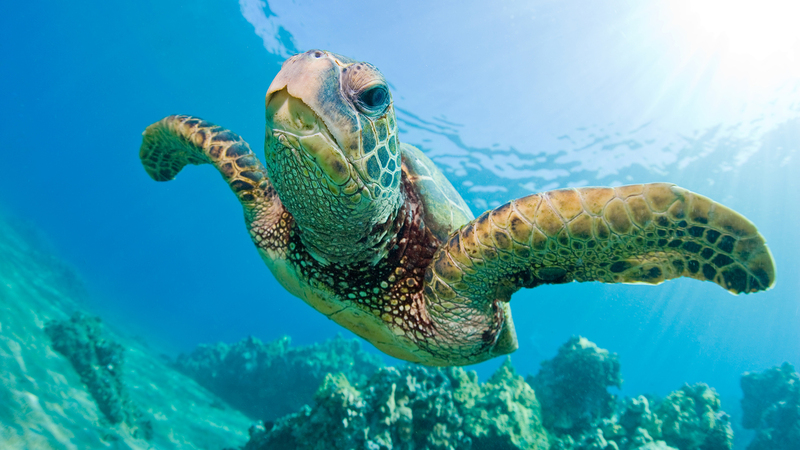 In 2015, some 205 emergences by Critically Endangered hawksbill turtles were recorded. An 'emergence' is recorded when a female turtle comes ashore to make a nesting attempt. The actual number of turtles involved would be much fewer, as each female lays between three and five clutches of eggs in a season, and may also make unsuccessful emergences where no eggs are laid. Therefore, the North Island environmental team estimates that these emergence figures translate to approximately 35 green turtles and 30 hawksbills. Both of these statistics are new records for North Island, where turtle activity has been carefully monitored since 1998. The numbers are remarkable for such a small area and clearly demonstrate the importance of North Island to these species. The team has also been able to tag increasing numbers of turtles – between 2014 and 2015, some 40 turtles were tagged on the Island. Tagging is a benign action that allows researchers on North Island to identify turtles that return to the beaches, and scientists elsewhere can then also identify turtles they encounter.